Additional Quill Pen to the one supplied. 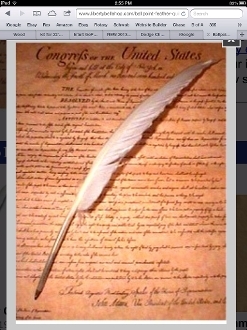 Have a backup pen or just use for enhancing the Declaration/Constitution atmosphere. These hard to find pens, give you the "old look" without the hassle of spilled ink. They have a hidden ball point cartridge to control the ink used.